Margaret Agnes Kersten Whitehead or Marge as she was known had to be a very strong woman. Her husband of 24 years died in 1950. 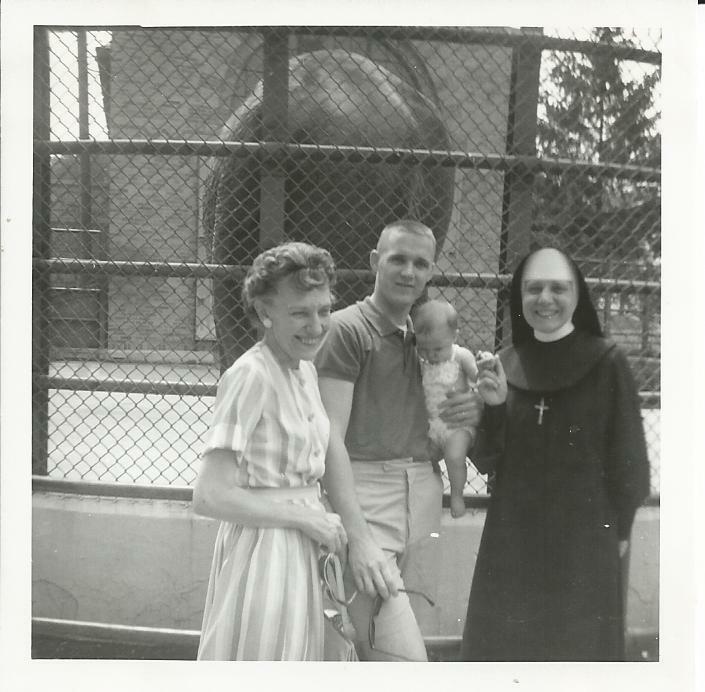 She still had two children in the home, Annette (age 15) and Larry (age 13) and one daughter who had already taken vows in service with the Catholic Church. She did have the support of her parents. However, they were aging. Her mother died in 1959, then her father the very next year. So, in the span of 10 years she lost some very important people in her life. Meanwhile during those 10 years and until her death in 1967, she stood strong. We are now able to see this through some letters she sent to Chloe Whitehead, her sister-in-law. These letters are priceless because I am now able to learn a glimpse of her and my father and aunts. One document that is more a sign of the times is document from the Probate Court of Cook County in regards to the two minors, Annette and Lawrence. Margaret had to go to court after her husband’s death and be appointed their guardian. 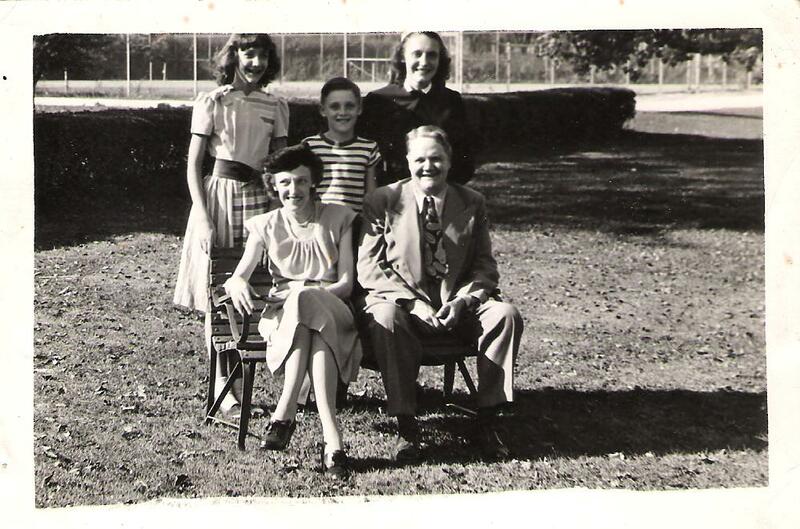 According to my Aunt Viv, “she really had to take hold of life…get a job…and carry on.” Since we do not have any census records for the time period after my grandfather died, these letters help us know more about both her domicile and her occupation. I wish I could include every letter because there are so many gems of affection and information, but I wanted to summarize. 1951 Letter-Address is listed as 7939 Champlain Ave. 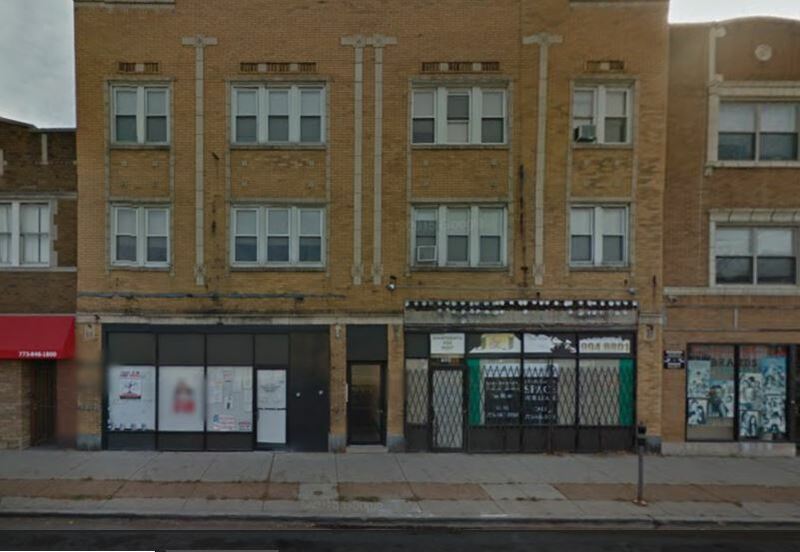 This is the location where her parents lived in what is called a “two flat.” It is a Chicagoan term for a two unit apartment building. My grandfather owned this two-flat. It appears that Marge and the kids moved into the upstairs apartment after Fred died. In the letter, Marge tells Chloe that Viv is back at Joliet and teaching. Larry is playing baseball at St. Rita’s high school. 1955 Letter-Address is listed as 7939 Champlain Avenue. She uses work stationary so we can verify that she is working for the Chicago North Shore System. She tells Chloe that she went on a tour of Yellowstone Park and the Grand Tetons. She doesn’t indicate who went with her. She also updates Chloe that Annette got her stripe for her cap (nursing lingo). Additionally, Larry has not been on a furlough yet. Larry enlisted in the Marine Corps after graduation in 1955. She also includes a post script note to her brother in law Joe about the Chicago White Sox doing well that season. 1957 Letter-This letter is hand written and does not specify a home address. Marge writes that they had a nice Christmas at Annette and Don’s house. Annette’s husband picked them up (presumably Margaret and her parents). She writes that her mother has arthritis in her neck. Larry was in NCO (Non-Commissioned Officer) School and came in first out of 37 others. Larry is also a corporal. Way to go Dad! 1958 Letter-A typed written letter using the work stationary but does not specify a home address. She writes to Chloe that her daughter Annette is going to have a baby. It appears there were some problems with the pregnancy. 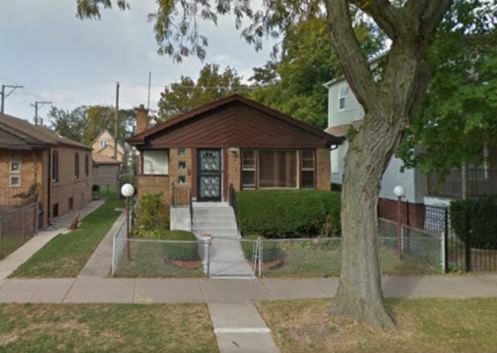 She also remarks “we are just about through buying on our house.” It appears to me that since she talks about a lawn, she is referring to the house at 8638 S. Sangamon Street. She updates Chloe on Larry’s progress at school (Southern Illinois University) and that he will work for Ford over the summer. 1965 Letter, typed. It is written on the same letter head as previous. She writes to tell Chloe about the birth of Michelle. She wrote, “If Annette can keep Susan away from her long enough, I think she will live. Susan is so rough, from playing with Jeff, that we are afraid she will hurt her.” She also wrote that Betty and Larry went to Lynchburg for Christmas. “Kathy was queen and took over the place.” These two quotes are some of my favorites. Marge then makes a reflective comment, “As you have probably found out by this time you have to make a new life for yourself and it is hard trying to do it without your ‘partner.’ Nobody seems able to take their place. I know you can do it though as you are like I am, you KNOW you have to keep going and you do it.” It was sweet of her to give her sister-in-law these words of encouragement. 1967 Letter, typed. Letter is on Norfolk Southern stationary but also has her address in Sangamon. The outside of the letter Chloe has written “Marge’s last letter to me.” Inside Marge writes that she is slowing down. “What’s happening I think is that I’m getting old and slowing up…It takes me longer to do things now-a-days, especially with arthritis in my hands and feet. The spirit is willing but the flesh is weak.” She updates Chloe that her mom’s sister (Gretchen Margaretta Stalhaber Dienfenbach) had come to visit with her daughter from California. Marge discusses that her Aunt is going blind and her memory has slipped. “She is so cute because she knows that her memory is failing and she tries so hard to remember who you are.” A side note, this Aunt went on to live until she was 100 years old! Marge updates Chloe that Larry and family were in again for Easter. She remarks that Annette and family are fine. She writes, “Susan was quite a fink for a while but she has snapped out of it and is just darling.” Now I know where my father got that word, fink. Well, you might be asking why I wrote this post. I believe through reading these letters I have been able to see my grandmother come to life. What a strong woman she was. I have only known her on paper, as she passed away 16 months before I was born. The obstacles she faced in life were no match for her. Her letters show how articulate she was. Although the 1940 Census states she only finished 2 years of high school, Viv stated that she went to a school for business, learning typing and shorthand. She became stronger through her battles and I wanted to share that with you. She was an independent resilient woman and I am glad that I have some of that DNA. Until later, I will be exploring backwards. 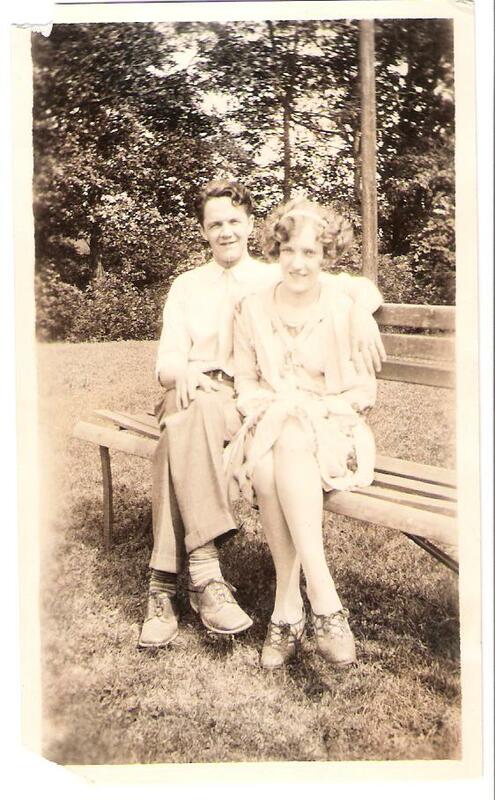 Margaret Agnes Kersten was the grandmother that I never met. My Aunts and father both stated she was a religious woman. She is one of my ancestors that I wished I could have met. Margaret was born to Peter and Anna Stalhaber Kersten in Chicago on March 13, 1906. She was the second child born to Peter and Anna. She was baptized at St. Anthony of Padua on 15 April 1906 (Source: Delayed Birth Certificate). Margaret and her older brother William were first-generation German Americans. Just for a frame of reference, in 1906, Theodore Roosevelt was the President of the United States. 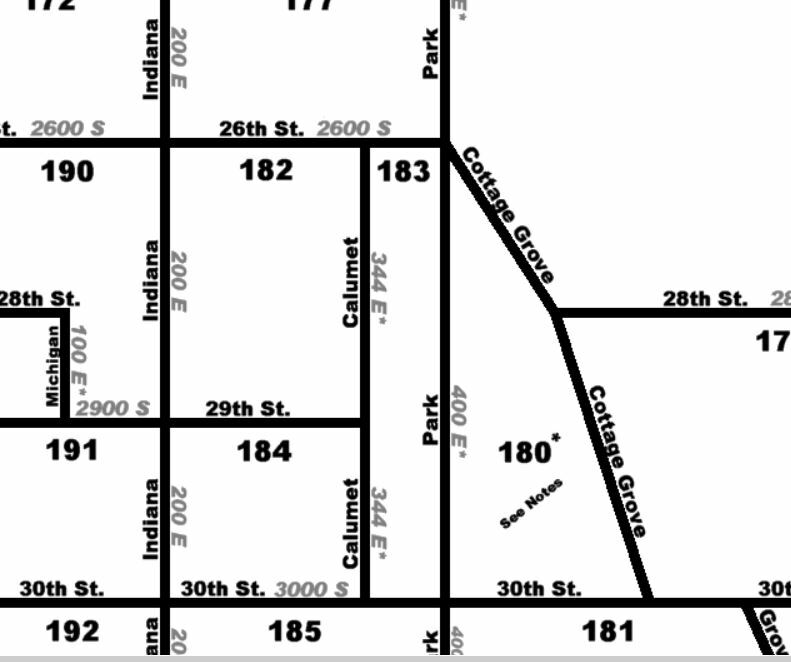 In the 1910 Census, the family is living at 2804 Calumet Avenue. Also living there are three boarders. Her father Peter is a brewer. When she was 8 years old, World War I started. I wonder what it was like for such a young girl when I am sure her parents were worried about loved ones that were still in Germany. When she was 14 years old, Women got the right to vote with the passing of the 19th amendment. I wonder if she ever voted? In 1920 Census, the family is living at 2411 South Park Avenue with her parents, her Uncle Johann Kersten, her cousin Harry Stalhaber and three lodgers. She is 13 years old. Margaret and her brother are listed as attending school. I wonder what she thought about having three lodgers in her home. I know at 13 years old, young girls and boys are wanting their privacy. I am sure there was not much of that in the household of 8. Marge is all enthused with expectancy and I hope not in vain. I know I will do my utmost to make her as happy as my means and brains will allow. She is sure one sweet girl and deserves a whole lot more than she is getting but if I can make her happy, I sure will as she wants. 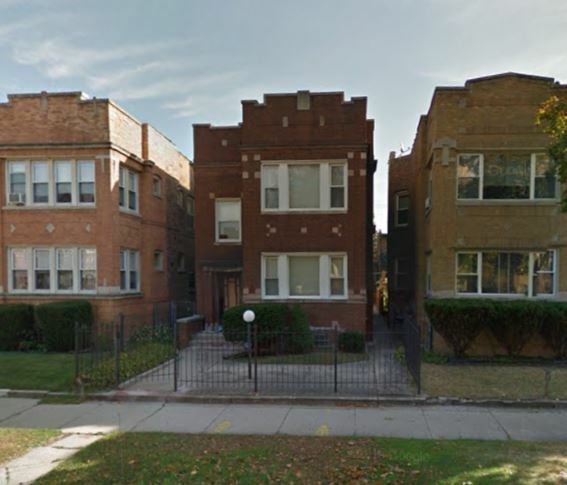 In the 1930 Census, Fred and Margaret are raising their first-born, Vivian, at 509 79th Street, Chicago. Fred is listed as unemployed and Margaret is listed as working as a stenographer in the Chemical Industry. The rent is $50 per month and they have a radio. It is interesting that Fred is not listed as a veteran. In some records, the census taker makes a notation as to who they spoke to at the residence. This record does not list that. I wonder if Margaret’s mother is caring for the young Vivian, or is Fred taking care of her. Recall, this is 1930 and the depression is in full swing. 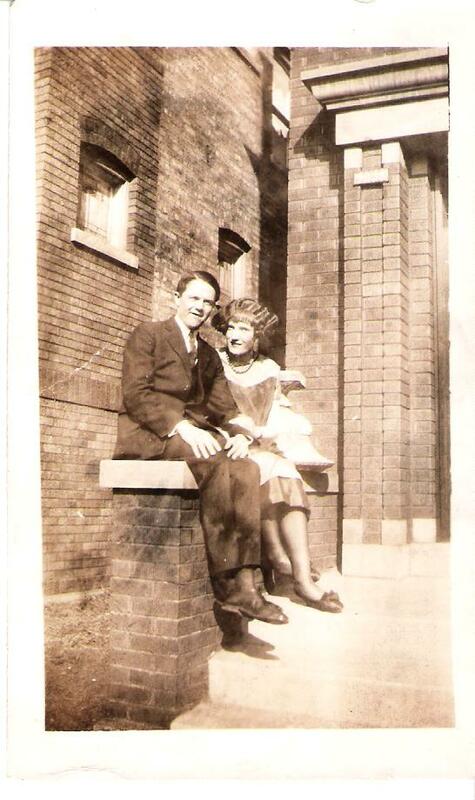 By the 1940 Census, the last one that has been made public, Fred and Margaret are living at 618 East 77th Street. Fred is indicated as the respondent in this census. He is now working as an Accountant doing tax appraisals. Margaret is listed as not working outside the home. But, how could she, she had Larry, age 3, Annette, age 7, and Vivian, age 12. The question about education level shows that Fred, completed the second year of high school and Margaret, completed the 7th grade. So, why did Margaret stop going to school? Is this accurate? I have a 1950 Tax Return. This was the tax return for the year her husband, Fred, died (4/3/50). It listed her occupation as a Stenographer. The family is listed as living at 7939 Champlain Avenue with her parents. It shows that Fred last wages were for James R. Casey on Clark Street. If I recall, I think this was an accounting office. Margaret’s listed occupations in 1950 were at Maywood Park Trotting Association and Chicago North Shore and Milwaukee Railway Company. 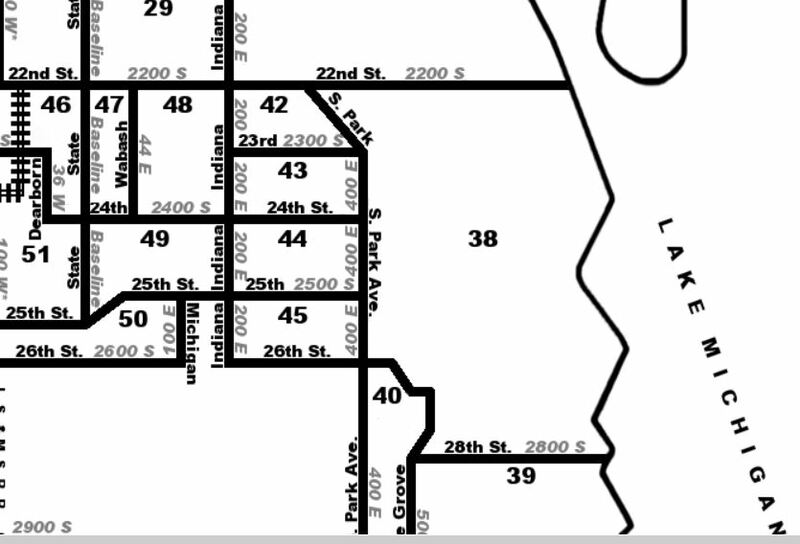 At some point she moves to 8638 South Sangamon Street, as that is the residence listed on her death certificate. Margaret died 27 August 1967. She was 61 years old. I would like for my Aunts and Father to chip in and send me some more memories of their mother. I have written far more than I had planned. Hopefully we all learned about a wonderful woman, Margaret Agnes Kersten Whitehead. Below are some more pictures that I wanted to include. Happy Easter! Join me again later as we explore backwards!